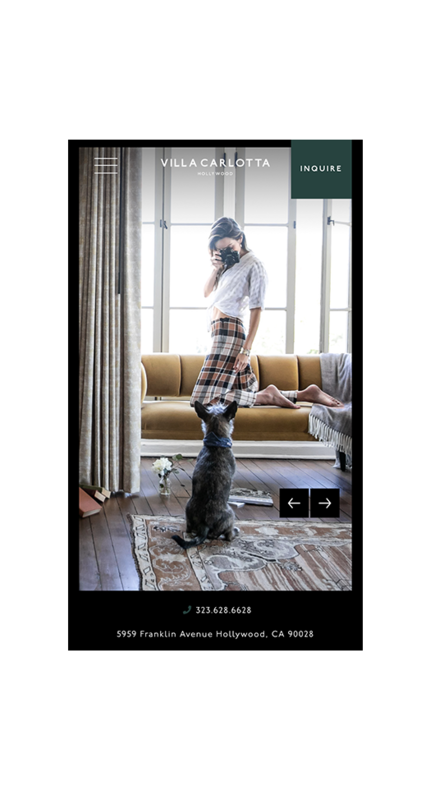 Originally designed by Arthur E. Harvey in the classic Spanish Colonial Revival Style, Villa Carlotta is a legendary architectural and designated city historic landmark. Upon its construction in 1926, the Los Angeles Times declared Villa Carlotta “the last word on luxury.” Over the years, its rooms and salons have been inhabited by some of the city’s most intriguing denizens and visitors, accommodating an array of legendary Hollywood characters such as gossip columnist Louella Parsons, award-winning director George Cukor, actress Marion Davies and the Oscar-winning producer David O. Selznick. Actors, musicians, writers and creative souls of all kinds came and went, their legends seeping into the building’s very walls. 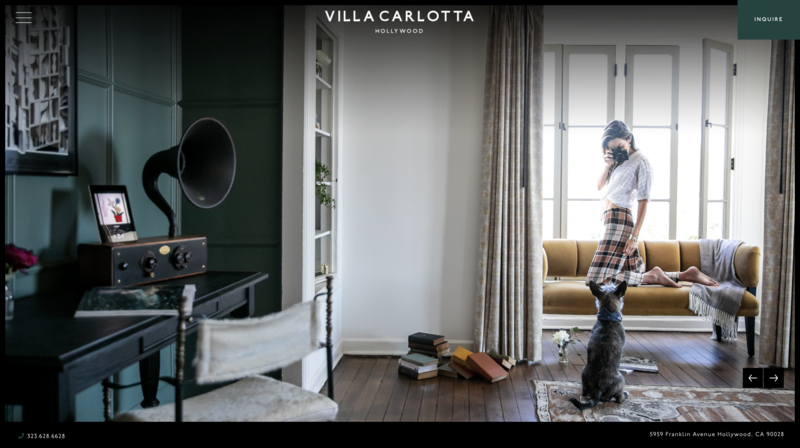 Now, Villa Carlotta is a Hollywood residential hideaway for free spirits drawn to the iconoclastic energy of bohemian Los Angeles. 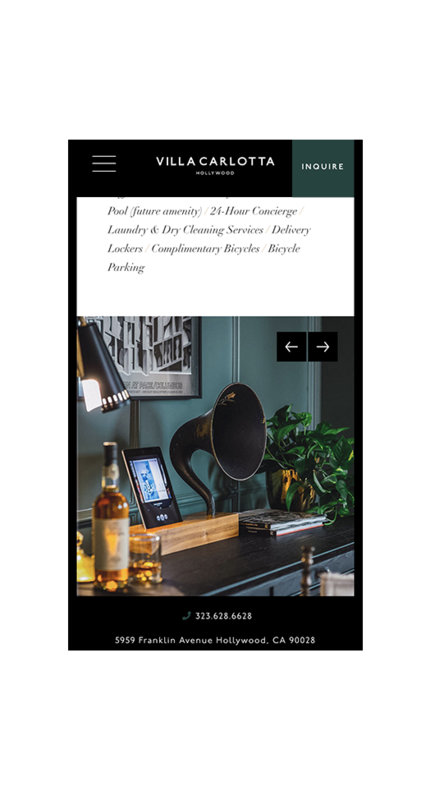 With five-star service, the sophistication of a landmark boutique hotel and the modern conveniences of a well-appointed condominium, Villa Carlotta offers residential hotel living in fully-furnished studios and one- and two-bedroom residences, welcoming stays of 30 days or more. 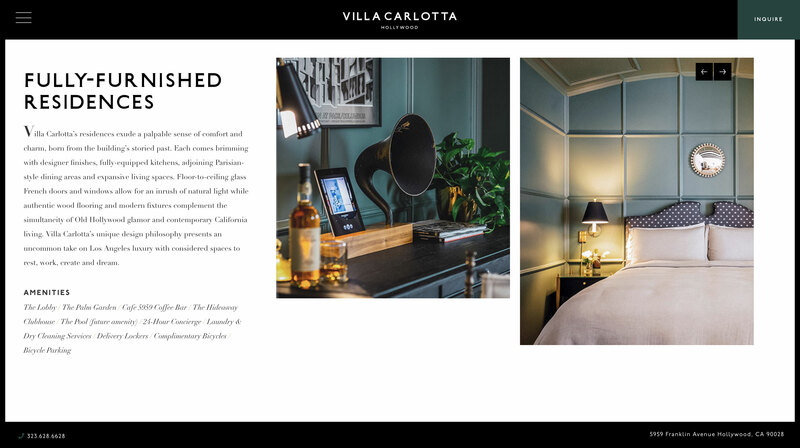 The current visual identity for Villa Carlotta, aims to pay homage to the past while bringing it into the 21st century.